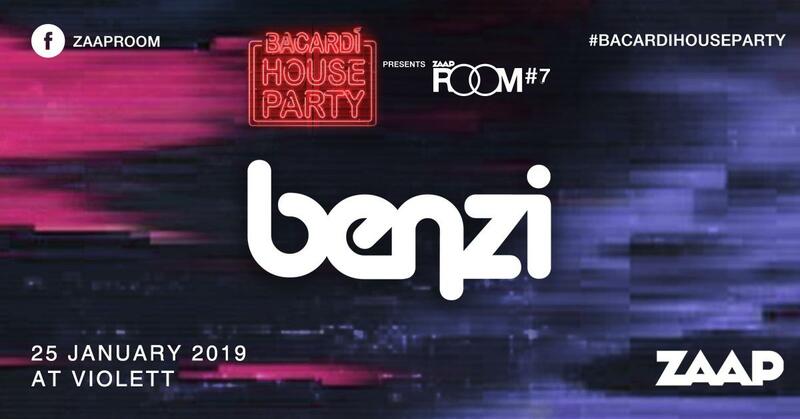 Bacardi House Party presents ROOM #7 - Benzi - ZCANME จ่ายง่ายไม่ต้องรอคิว. One of the most hard working DJ, Benzi, one of TWRK, who pioneer the Trap/Twerk scene couple years ago. He’s now going solo with a finely craftly Mash-up and Edit, which most of dj are craving his banger for throwing the party. Many known him as a Label Founder and Resident host of “Get Right” or from a Turnt up mixtape as “Girlz Trap”. Prepare, you are going to meet him with a bunch of exclusive tunes, that you never heard anywhere before.